Caffeine is a naturally occurring psychoactive substance with stimulant properties. Caffeine use is common, and it is the world's most popular psychoactive drug, and it is completely freely available and unregulated in the United States and throughout much of the globe. It is an ingredient in a large variety of everyday foods and drinks and can be found in many over-the-counter and prescription medications. It is also often used as a cutting agent in illicit drugs, particularly stimulants. 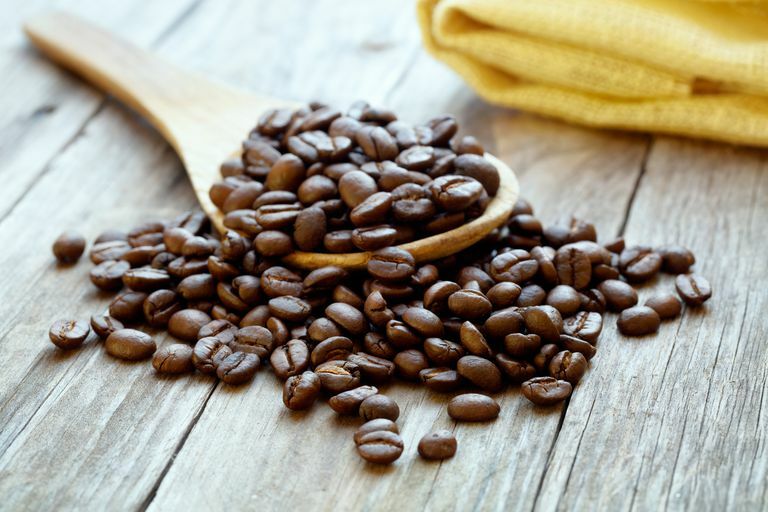 Caffeine occurs naturally in several plants and is most commonly known for its presence in the coffee bean — used to make coffee, the cocoa bean — used to make chocolate, and the tea leaf — used to make tea. It also occurs in the kola nut — used to flavor cola drinks, and the guarana berry, a less common additive to beverages, which is also available as a health food supplement. Several other plants contain caffeine. Synthetic caffeine is a surprisingly common food and beverage additive. It is well known that caffeine is present in coffee, a very popular adult beverage in the United States. Less commonly known is the presence of caffeine in a large array of other beverages, such as tea — including green tea, which is commonly thought of as a healthier alternative to black and orange pekoe teas, as well as beverages such as cola and other types of soda, sports drinks, and drinks that are marketed as healthy. Caffeine is also a common food ingredient in chocolate and other foods containing cocoa. It is often thought that people who become addicted to chocolate — chocoholics — are actually addicted to the caffeine in chocolate. In fact, the true picture of the addictive nature of chocolate is much more complex, as chocolate contains another addictive substance, sugar, and sugar addiction is now well documented. There is a fine line between whether caffeine is considered a food or a recreational drug. We think nothing of adults drinking tea and coffee in front of their children, whereas injecting heroin or smoking crack in front of a child would be shocking — and grounds for removal of the child from their parent's care. Yet as the concentration of caffeine gets higher, the effects become more pronounced, and now some high-caffeine beverages are marketed as legal recreational drugs. The stimulant effects of caffeine, as well as its legal status and availability, make it a common cutting ingredient in street drugs, such as cocaine and meth. Caffeine is also used as an ingredient in a variety of pharmaceutical drug preparations. Many painkillers contain caffeine because caffeine increases their effectiveness. It is also added to many medications that cause drowsiness in order to counteract this side effect. Prior to 2004, caffeine was included as a prohibited substance with the World Anti-Doping Agency (WADA). In 2004, caffeine was removed from the prohibited list. WADA acknowledges the presence of caffeine in many foods and beverages, and the risk that it can be abused in sports — therefore, although the use of caffeine is not prohibited, it is part of WADA's monitoring program. Examples: Jeff became addicted to caffeine, and was drinking 8 cups of strong coffee every day. Health Canada Caffeine in Foods 13 April 2012. Heckman M., Weil, J. & Gonzalez de Mejia, E. "Caffeine (1, 3, 7-trimethylxanthine) in foods: a comprehensive review on consumption, functionality, safety, and regulatory matters." Journal Of Food Science 75:77-87. 2010. Luebbe, A. & Bell, D. "Mountain Dew® or Mountain Don’t? : A Pilot Investigation of Caffeine Use Parameters and Relations to Depression and Anxiety Symptoms in 5th and 10th-Grade Students. "Journal of School Health 79:380-387. 2009. World Anti-Doping Agency. Prohibited List. 2012. World Anti-Doping Agency. Status of Caffeine. 2012. How Does Caffeine Affect Your Stress Levels?